These people were just lovely to deal with, and when they showed up for our son’s party the entertainer was so happy and nice the kids loved her. I booked the female clown over the phone. In the beginning, I was afraid, but it turned out a great party. First of all, they confirmed me by the email the day before the party day, and also call to confirm again as well. That made me more confident about the company service. The clown arrived on time, and she looked professional, friendly and gentle. She started the show with amazing face painting as her fast pace. After that, she did balloon twisting with different animal shape. When she was doing balloon, she was dancing and sing along with the kid music as well. She told the kids dance and sing with her during waiting for their balloon. I saw some kids doing that. It was fun. After all, she created some game with kids. The kids love it. My son told me it was a best party he ever had. Finally, she done with her time. We asked her to stayed an other 30 mins because they wanted more activities. She told me that luckily this was her last show of the day. So, she could stay with us an other extra 30 mins. The extra 30 mins she charged us only $50 more. Great job. I recommended this birthday party character company to every one is the best. Thank you to all of you hard work. Sorry, I forgot her name. I’m very impressed with BPC. I had my son’s 1st birthday party and the performer was very accomdating and pleasant to be around. She dressed up as ELMO and I can only imagine wearing that costume on a hot summer day! But she had a great and energetic attitude every step of the way! Thanks BPC for making my son’s bday party unforgettable! Very professional company!! 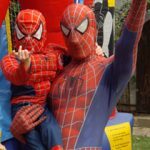 My son just had his 4th birthday party and spiderman came. Let me tell you he was GREAT!!! his show was awesome…. The kids loved it and it kept them busy. I love how he stayed well we cut cake and he took pictures!!!! will order again!! Fantastic results for our Star Wars themed party, for 4-7 year old mainly boys birthday party. We had one person perform 2 characters, a Darth Vader and Jedi knight…..and he was entertaining from the start. They did jedi training at first with a Jedi warrior, with competitive fun and simple games. After a quick change of costume, all took turns performing mock laser sword battles with the dark side Darth who invaded the good camp…the good side won of course….so all ended very well indeed. Very professional, good interaction with the kids and at the right pace to keep all entertained. Would definitely recommend for future use. I wanted to send a quick email to say how pleased I was withthe entire experience of booking a character for my daughter’s birthday. I did the booking over the phone and the person was professional and friendly. I really apperciated the detailed email after I booked it to confirm my order.I also apperciated theconfimationcall and email a few days before my event. Your consistant follow-up made me feelconfident that the charater would arrive at my event as I have been to parties in the past and the character theyordered either never showed or arrived late. I could not have been more pleased with the women that came to my event. I am sorry but I do not remember her name. She arrived and started 15minutesearly. Her appearance and nature were bothprofessional and friendly. Shealso made a special Elmo balloon for my daughter before she arrived at the event. She was so kind and gentalwith the children that my 2 year old daughter almost fell asleep snuggled up in her arms,dressed as Elmo, during the group picture. Minnie Mouse/Susan (Premium) came to my daughter’s 2nd birthday party. And I am writing just to say how great she was. She made the party. The kids (ranging in all ages) couldn’t be happier, and they all participated in all the games and had a great time. My daughter was smilling the whole time. And the pictures by the cake came out amazing. And Susan was as friendly as I could want, and she showed so much attention to my daughter and the kids. She was great, and everyone loved her Minnie voice. I was somewhat suspect about the “Toy Astronaut” (Buzz Lightyear) and his believability and entertaining skills. HE WAS AWESOME!!!! 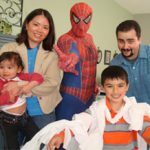 My 3 yr old son couldn’t have been happier, and the party was the day after Disneyland and seeing the “Real Buzz.” The company was very organized and professional (which I was concerned about since I found them randomly online), and the character was super great with the kids. I couldn’t say more positive things! And since it was his last show of the day, he even stayed late to do more face painting!! Absolutely LOVED the magician as well as Batman and Batgirl (Cat woman)!! VERY PUNCTUAL STAFF!!! 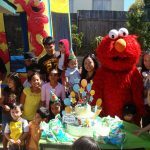 I had a wonderful clean jumper an my elmo character, Annie, was a hit at my daughters first bday party!!!! Very entertaining n energetic!!! I strongly recommend this place. 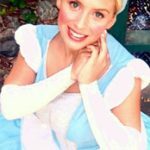 I booked a Princess for my daughter’s 1st birthday. 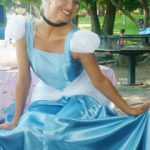 Princess Carrie dressed in a baby blue princess dress arrived on time and were every kids’ favorite. She starts off with animal balloons to get all the children’s’ attention, then came face painting, next was storytelling and games, and lastly she gathered all the kids together for the cake. All the little girls were in awww about her and practically followed her around everywhere. She has a sweet voice and were absolutely wonderful. For an hour and a half, they charged $235. We booked Hello Kitty to surprise a coworker, and I couldn’t be more satisfied. From booking the talent to taking the photos, Hello Kitty and Birthday Party Characters is a class act! I had less than 24 hours to find a specific character, and was skeptical about succeeding. I sent an inquiry through their site and left them a message, and they responded so quickly, it took me a minute to realize that it was the site I was just calling. I spoke with Carlos, who was amazing. He was fast, easy to understand, super accommodating, and didn’t read from some script. I’m sure he deals with tons of events every day, but he really took the time and showed he cared about making my coworker’s day. Hello Kitty showed up early and was a total professional – super expressive through her gestures and incredibly accommodating. We had a blast. Thank you for making our day special, BPC! 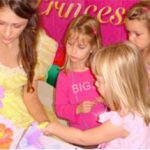 We booked the $195 package (3 activities) for my daughter’s B’Day party. The character for our party called and confirmed the day before the party and I gave her a count of kids I was expecting. But when she arrived, she said that there were too many kids and that she would have to limit to 2 activities instead of 3. That was a bummer. Especially because there were lesser kids than we expected and even those that did come were too young to be entertained/face painted. But there were a few adults who got their face painted-that’s probably why. 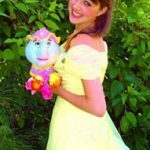 -Even when the kids were eating and there was nothing else for the fairy to do, she kept the party going, walked around and entertained the kids with puppets which I thought was a great idea. -She stayed back for 30 more minutes -super accomodating!! BPC is an amazing party company! The performers are always on-time, incredibly accommodating and are amazing with kids. Depending on the activities that you want, they do a really, really great job of selecting the performer who excels in that area. If you are looking for the best face painter around, they have them at your party–no questions asked. Want a stupendous ballon twister? Bingo, came to the right place! Want Elmo is dance his booty off and play games with the kids non-stop? Done and done. If you are looking for an amazing party company, whether it be for a corporate event, kids birthday party, backyard bbq, WHATEVER… BPC is the company to use, hands down! Hi! Wow what a fantastic job your princess did! She was such a HUGE success! The children absolutely adored her and all the adults had smiles on their faces! We LOVED the story-telling and the face painting and balloon making was top notch. I forget the name of the princess but she could not have been nicer! Thank you so much and we look forward to the next event with your company! I just wanted to share a company with you all that I highly recommend! Birthday Party Characters did a wonderful job with my son’s Super hero birthday party yesterday! The Superhero played a variety of kiddie games to suit the younger ones and assisted with helping coach the older kids to some obstacle courses that I had already set up. Included was a picture session and handing out Superhero certificates (that I made in advance) and gathering everyone up to sing Happy Birthday. The staff by phone, email and in person was all very professional. Thank you for your wonderful service! Spidey was fantastic, the kids had a spectacular time, please thank your performer for me, I will recommend you to all my friends and family. Spider guy was AWESOME! He did an exceptional job, very professional, on-time, entertaining, adaptable and just an all around nice guy! I would highly recommend him to any of my friends! Thanks for helping us make our party a success that was talked about for days afterward! What a wonderful Princess! She is so beautiful and nice. She made my daughter’s 3 years old birthday party REALLY special. I received a lot of compliments from my guests afterwards. All the kids loved the magic show, face/hand painting, and balloon twisting. The balloon twisting was the biggest hit. Not only have the kids loved the balloon, but the adults too. It was such a pleasant experience doing business with you. All of you are so professional and easy to work with. I will recommend you to all my friends. Thank you so much for your services for my son’s birthday party! It was awesome and my son can’t stop talking about it! Thanks for making our son Venky’s Birthday a Huge Success. All the children simply loved Mickey and did not want to let him go. My son Venky was really sad after he left and kept on saying he wants Mr. Mouse back again. I shall definitely recommend you to all. We had great fun with the Honey Bear at the party. Thank you for making Vegas’ first birthday so fun! Here’s a picture for your remembrance. I will definitely recommend you to my friends. Thank you so much for the wonderful birthday characters for my twins birthdays on February 2nd and February 3rd. My daughter, Lilly, loved her princess party and was so excited when the princess arrived at our home. She was VERY patient and kind to the twenty girls at our house for the birthday party. The girls LOVED their face paintings and last week at preschool all the girls came up to me to say “I want the princess to come to my birthday party next year”. I forwarded your e-mail address to several moms’ at the preschool. On Sunday at Jacob’s birthday celebration “Zippity” the clown was fabulous. Jacob is very shy and timid and wasn’t scared of Zippity at all. Zippity the clown did a wonderful magic show and was very sweet to all the boys when she face painted their individual faces. The other Moms and I were very impressed with her gentleness and kindness to the ten boys at our birthday party. Once again thank you for making our twins individual birthday celebrations so special. 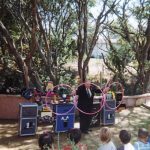 The Magician held the attention of 24 kids (ranging in age from 7 to 12) for an hour. That’s a success as far as I’m concerned. The kids loved the magic show. The face painting was a big hit also. We would like to consider using Birthday Party Characters again for my daughter’s birthday party on May 3rd. We were very impressed that the person that came to our party worked with the kids and really got them involved. She was funny and warm. The kids really liked her. I just wanted to let you know how wonderful my birthday party turned out. The kids loved the character and the Jumper. The parents were so happy that they did not get a chance to hear the kids complaining at all. Everything turned out amazing!!!!!!!!!!! I will definitely use you guys in the future for my next event. Thanks you so much for everything. Thank you so much Carrie. It was awesome and my daughter enjoyed it quite a bit. Since I had the party in the park, the Dino was a huge crowd drawer and all the other children in the park were also behind him. My daughter was jumping and all the parents were really happy too because it made managing the children easier in the party and also they were happy to see that their children were well entertained. This is the second year that I am hiring you guys and would definitely recommend you guys! Thank you so much! The Princess was a huge hit. My daughter was beaming and said that it was her “best birthday ever”. Please pass along a thank you to Dorothy as well. Thank you for dazzling my children. Here are some pictures from the party. We look forward to seeing you in the future. Best regards, Doug and Paola. I just want to say ‘Thank you’. Our party was a BIG success and each child had a wonderful time! The Princess was wonderful! Her patience shined through. Not only did she have all the children relaxed and calm, the kids remembered the event after they left. My husband was at the grocery store and there was a boy singing ‘Today was Erin’s Birthday’ over and over again. I told him that maybe the boy recognized him from the party and he said, ‘No, the boy was in his own little world’. That made me smile to see that the children had such a wonderful time. Again, I want to say ‘Thank you’ to your princess for making my daughters birthday so special. I really didn’t think it would turn out as well as it did. Oh, I should mention that the kids even talked about it at school on Monday and someone even told me that they heard I had a party of a lifetime. I couldn’t of done it without you. HELLO, YES EVERYTHING WAS GREAT! MY LITTLE GIR WAS HAPPY TO HAVE SEEN HER DREAM COME TRUE!! AND OFCOURSE EVERYONE THERE WAS SURPRISED OUR TO SEE OUR SPECIAL GUEST. SINCERELY THANK YOU VERY MUCH! WE LOVED IT! 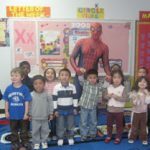 This is long overdue praise for our Birthday Party Character, Spidey, who came to my 4 year old’s birthday party back in November. Our communication with him before the party gave me much relief, as I realized I didn’t have any planning to do on my end for the party’s entertainment. How fabulous! At the party, he was very punctual, flexible with the activities, and creative when the kids got a little shy (including the birthday boy). 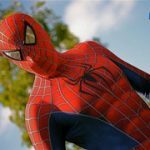 He was a joy to have at the party–both when in costume and afterward when he played the new part of “Balloon Man.” We will highly recommend Birthday Party Characters to our friends and also Spidey in particular, as our experience with him was extremely professional and positive. We would like to thank you for having a wonderful performer come over and entertain the kids. The Kids absolutely loved it and had a great time especially the birthday girl.we would definitely engage Birthday Party characters again. We and our daughter Piper, who turned 2 this past week were so very pleased with your character. Diem was so great with all the kids ranging in age from just 4 months all the way up to us adults. She was able to get everyone to participate and really made the party memorable. Piper has not stopped talking about the party and even tells people on the street! She is going to be your best referral source!Thank you so much and please thank Diem for us. She was amazing! Joe, Anne Marie & Piper.